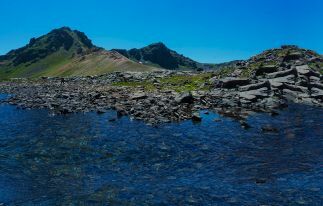 There are so many unique historical places in Armenia that are really worth visiting because of their beauty and uniqueness. 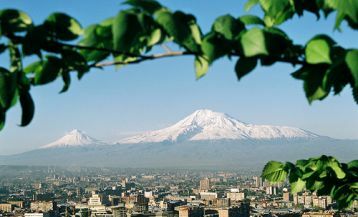 However, to visit Armenia and not to see Echmiadzin will mean not to see Armenia at all. This town occupies a great place in the life of Armenian people, as exactly here began the development of original Armenian culture, exactly this town is considered the heart of Armenian Christianity and exactly here is situated the majestic Echmiadzin Cathedral and the Residence of Catholicos of all Armenians. 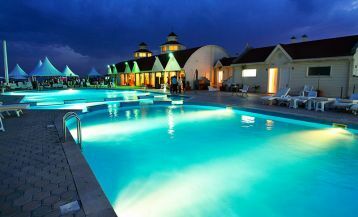 The town is located in the Ararat Valley at the distance of about 30 km drive from Yerevan. Being a small town with the population of only 57 thousand people Echmiadzin annually attracts crowds of tourists whose main purpose is to see the main Cathedral. 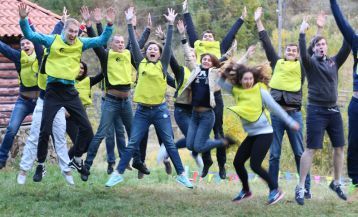 Armenia is the first country in the world to adopt Christianity as a state religion. It happened in 301, and it is exactly here in the city of Echmiadzin (previously called Vagharshapat) where was laid the foundation of the first Christian church in the world. And now everything in details. The primary role in this greatest for Armenians event was played by Gregory the Illuminator, who became the first hierarch of the Armenian Apostolic Church, and the king of Great Armenia Trdat III, who before his conversion had been the most severe persecutor of Christians. In the year of 287 for disobedience to the king and non-fulfillment of pagan rituals, Gregory was sent to the prison constructed for the sentenced to death. 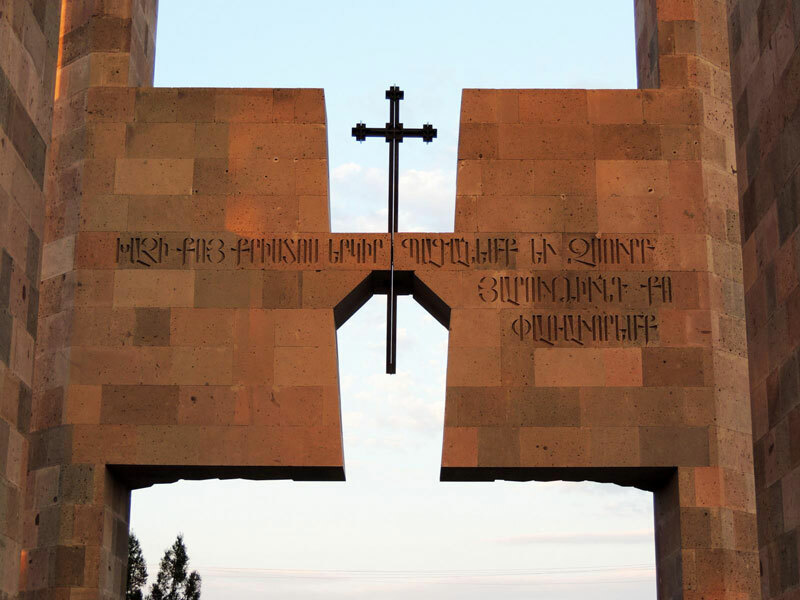 Some time later, a group of female Christians originally from Rome, hiding from the persecution of Emperor Diakmetiana, fled to the east and found refuge in the Armenian capital Vagharshapat (now Echmiadzin). King Trdat admired by the beauty of one of them named Hripsime wished to marry her, but after the firm refusal angrily sentenced all the nuns to death. After their death, the king got violently ill and it was said that the disease was the cause of a strong shock after the murder of Christian girls. The king’s sister had a dream indicating that only Gregory the Illuminator could help the king, and, indeed, after his 66-day prayer, Trdat III was miraculously healed. In gratitude, the king released Gregory from the prison, where he spent 13 years and miraculously survived, and proclaimed Christianity the state religion. And in place of the execution of the girls were constructed temples, which we will describe below. According to the legend, St. Gregory the Illuminator had a dream in which Christ showed him the exact place for the construction of the first Christian church. This place was occupied by a pagan temple, which was destroyed, and in 301 there was set the first fundamental stone of the Cathedral. They called the cathedral “echmiadzin” which is literally translated as “the only-begotten descended”. 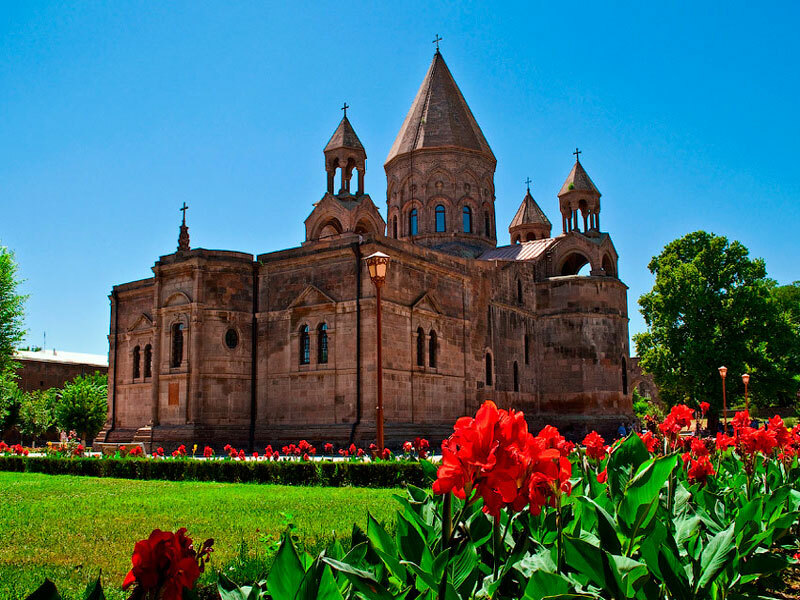 Thus was founded the spiritual center of the Armenian Apostolic Church – Holy Etchmiadzin. Originally it was made of wood and had a form of the basilica, and only about hundred years later it was given a cruciform shape and then rebuilt in stone. The interior design of the temple, completed in the 18th century admires by its Byzantine luxury: rich floral pattern in orange-red and blue-violet tones, scenes from the Holy Scripture, more than 120 portraits of the apostles. In 2000, the Cathedral was included in the UNESCO World Heritage List. Not far from the cathedral, is the famous Church of St. Hripsime (618 years), built on the spot where she was brutally murdered. 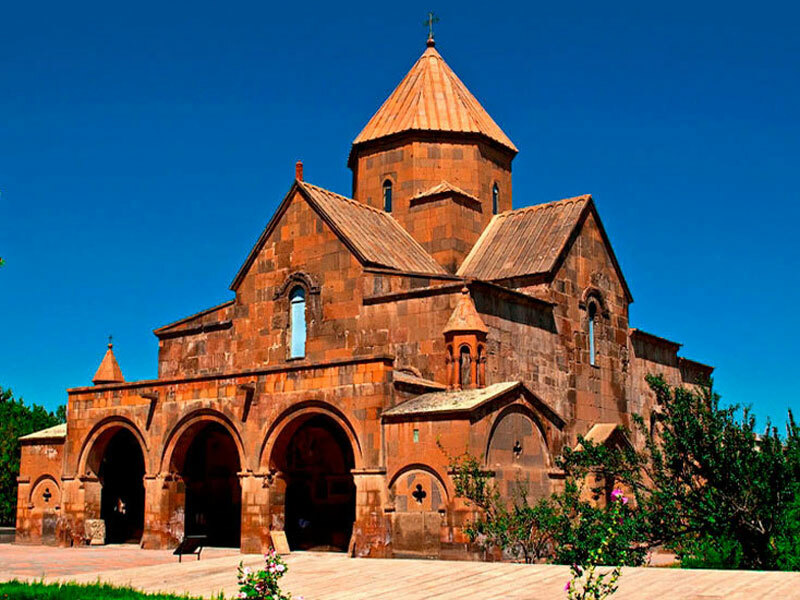 The church is one of the most striking examples of the unique Armenian medieval architecture and is considered the jewel of complex architectural design. The church is a cross-domed building with four apses. Its decorative features are rather modest, but despite this the construction surprises by its grandeur. The church is known for its magnificent patronal gate of 1741, which is inlaid with pearl. Under the altar, you can see the crypt, where according to the legend, Hripsime was buried. 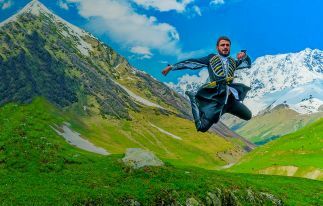 Couples from all corners of Armenia come here for the wedding ceremony and many tourists try not to miss this famous place during their trip around Armenia. Some time later, after the construction of St. Hripsime Church the other church was built in honor of her mentor Gayane, who was also killed by an agonizing death. The church was built in 630, and the most interesting thing is that till our days it has not undergone any major changes, only the dome and some areas have been slightly renovated. The external form of the temple differs by refined harmony and even rigor proportions, it is decorated with ornaments of plant motives. 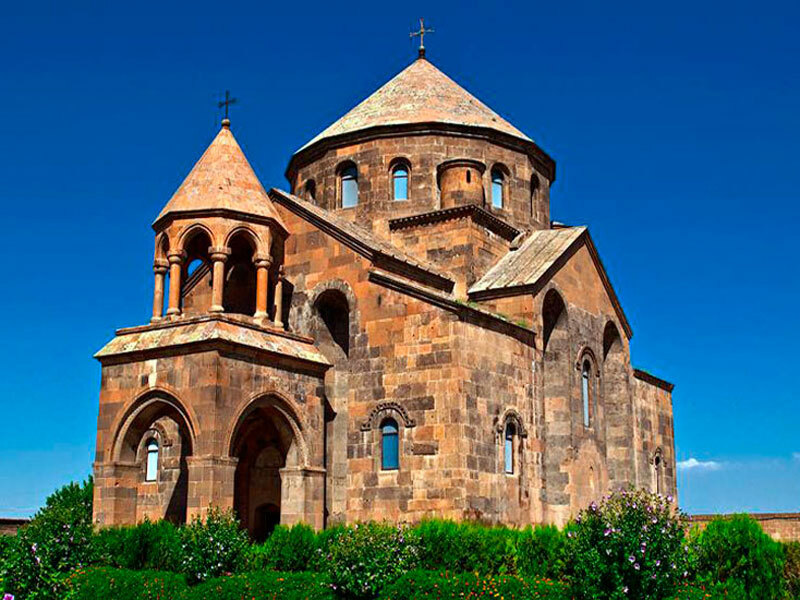 As well as the church of St. Hripsime this church was included in the list of UNESCO World Heritage. 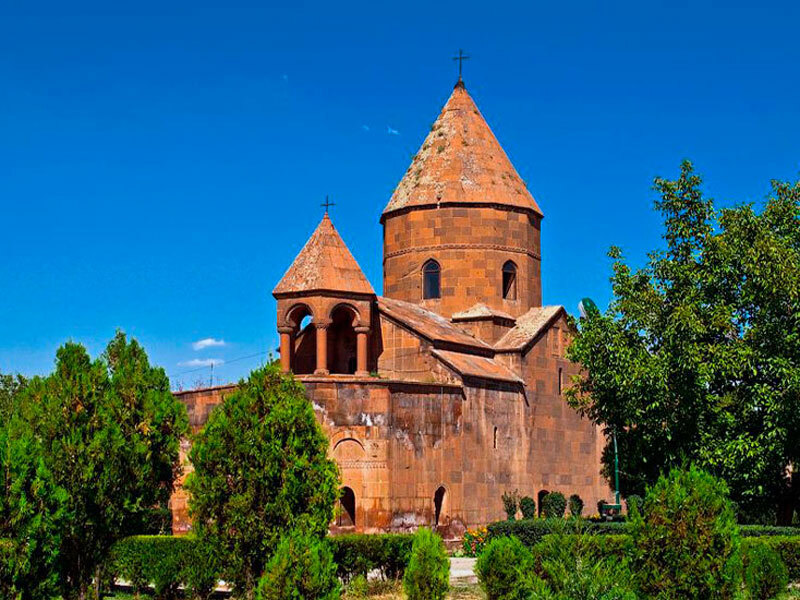 Shoghakat Church was built relatively recently in 1694 on the site of the tortures of thirty-eight nuns who as well as Hripsime and Gayane refused to renounce their faith and prefer to choose death. According to the legend, the light fell on that place and that is why the church was called “Shoghakat”, which is translated from Armenian as “a drop of light.” The church is known for its unique architecture and the rigor of details and decoration. At the end, we can add that Echmiadzin is one of the most beautiful and prosperous towns in Armenia. It is filled with prayers of sometimes grieving, but strong and victorious Armenian people singing about freedom and love to their motherland.